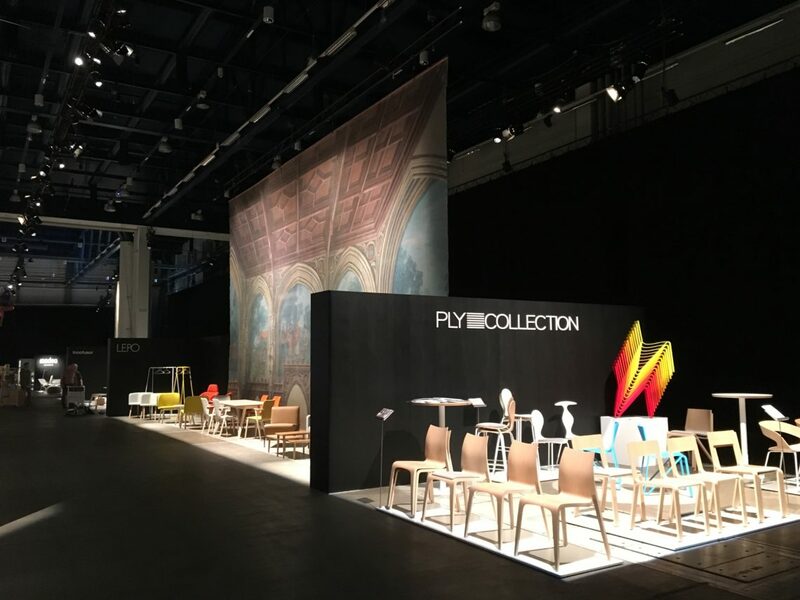 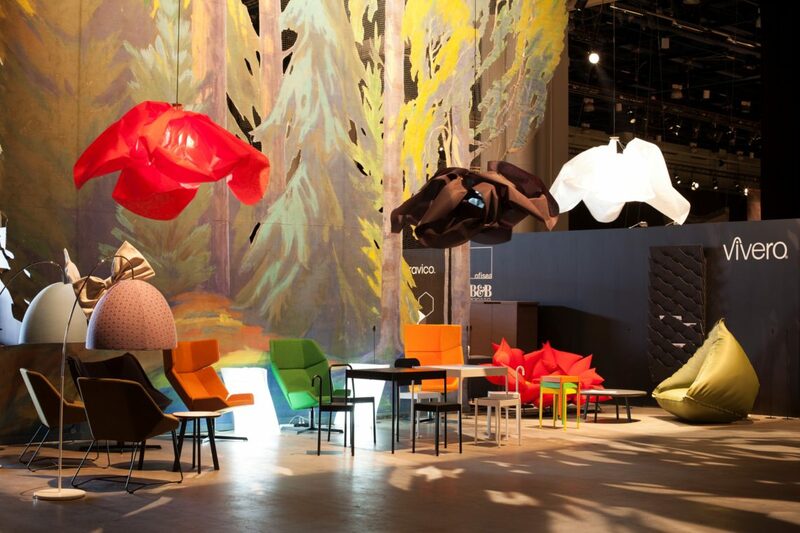 A trade fair can be considered a gigantic display of scenography with the products on show having the leading role. 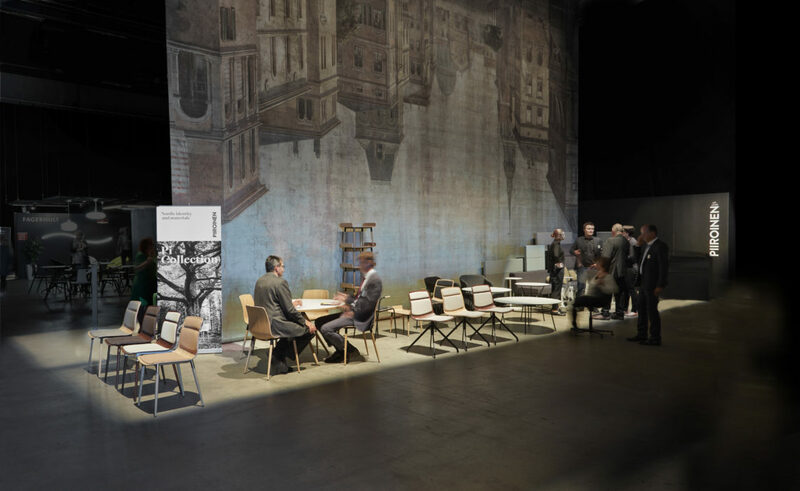 The Showroom event aims at making this idea visible. 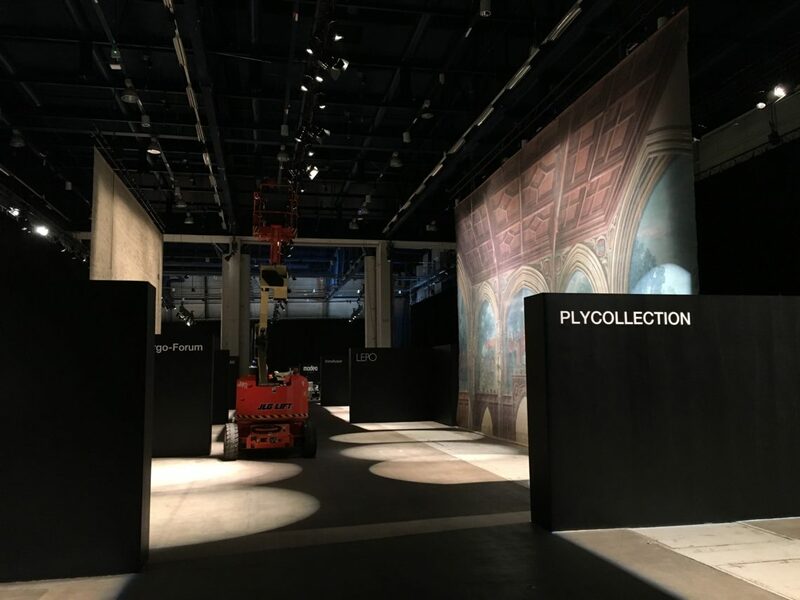 The exhibition design is steeped in the worlds of theater and storytelling, and depicts the route from a theater’s backstage areas towards the spotlight. 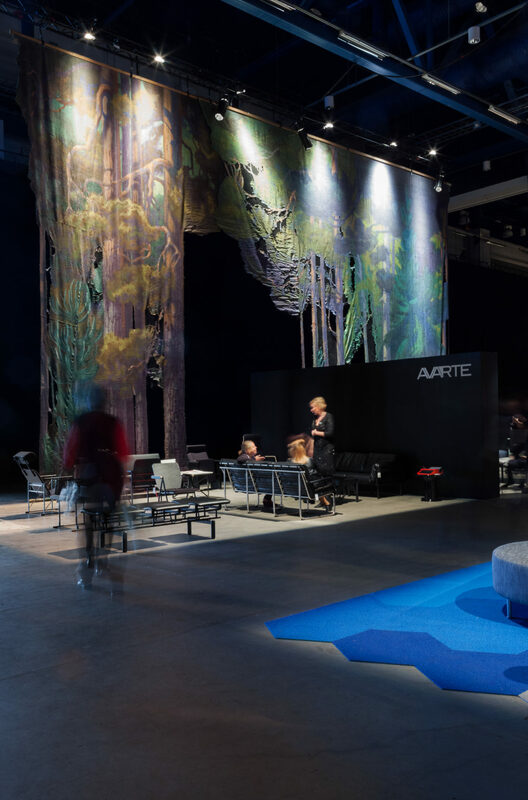 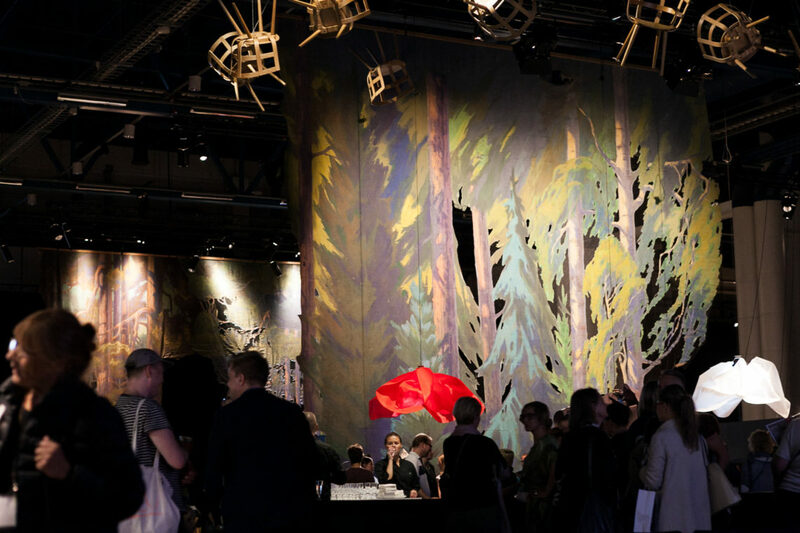 The design utilizes black surfaces, bright lights and rarely seen backdrops from plays staged at the Finnish National Theatre over the past 100+ years, creating a unique contrast with the traditional trade fair environment. 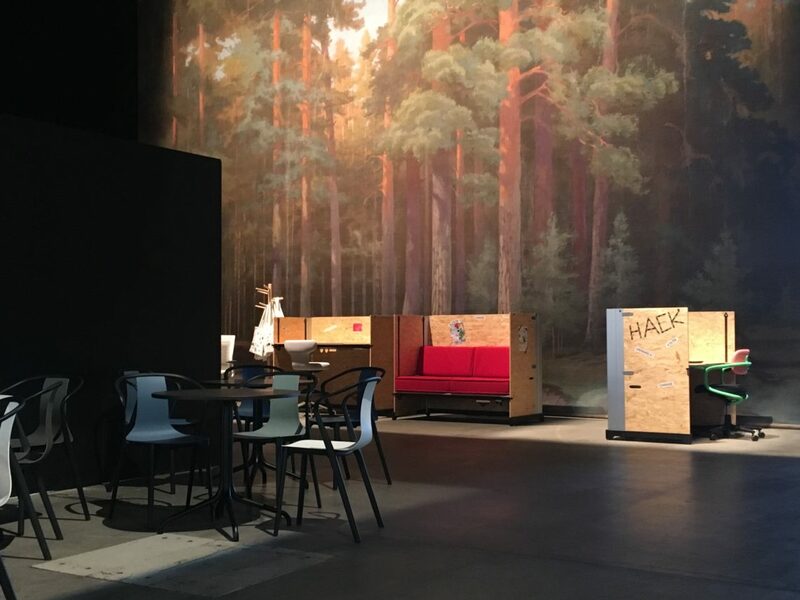 These enormous, often double-sided, hand-painted backdrops borrowed for the event are still being used in both re-staged plays and re-used in different plays. 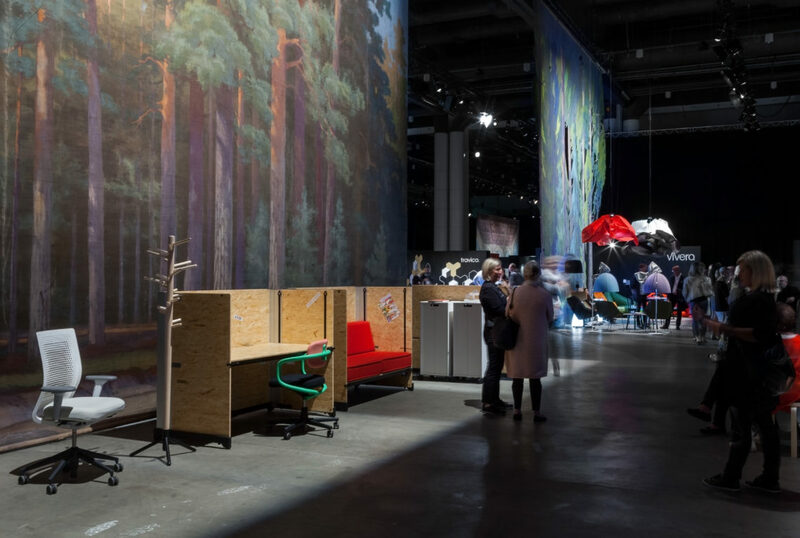 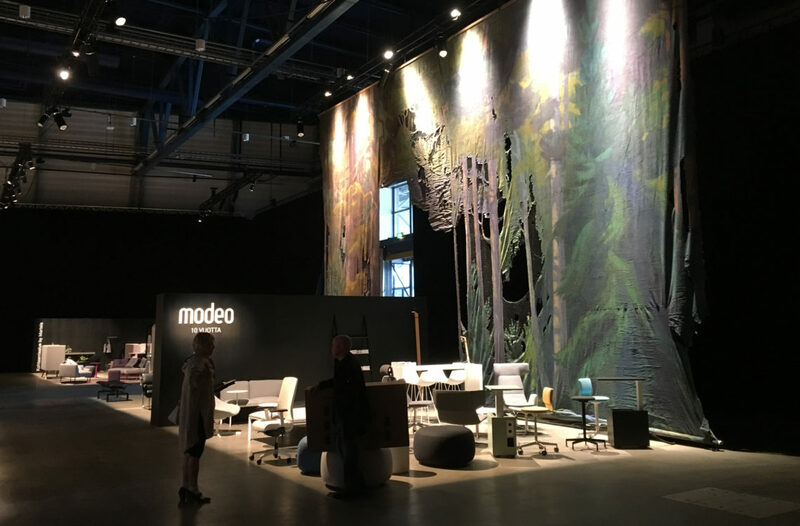 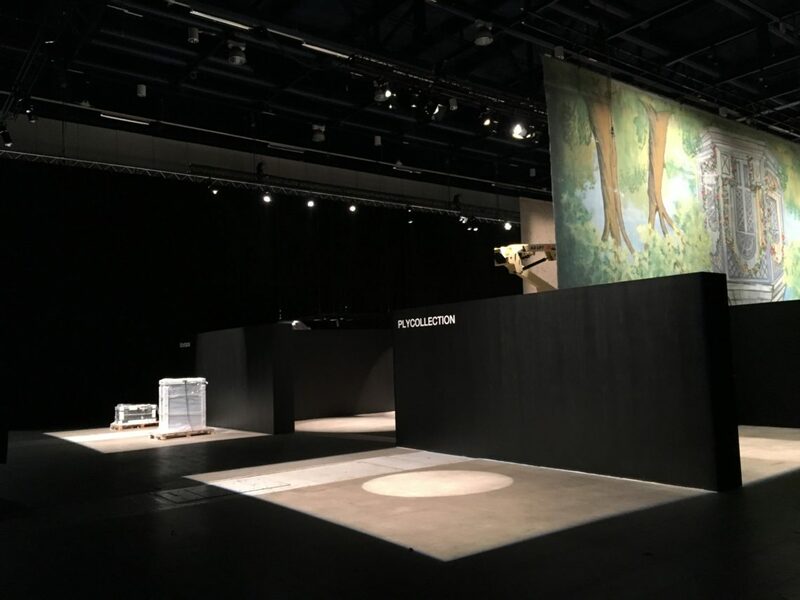 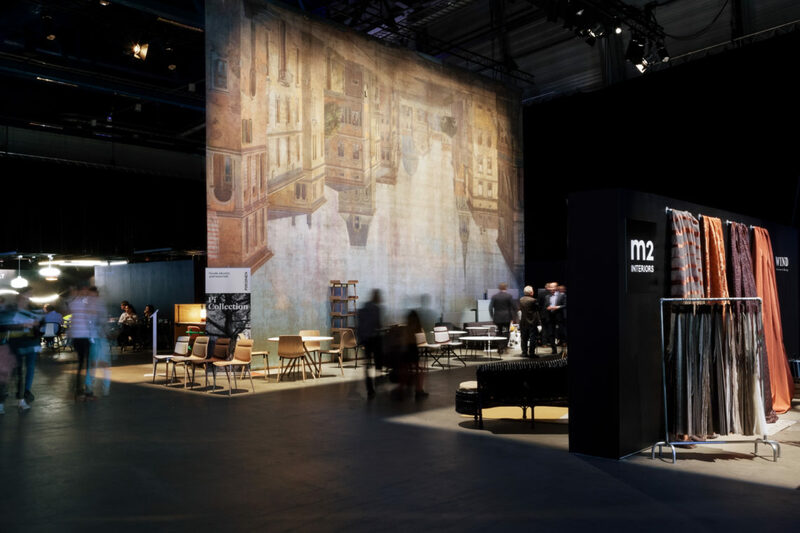 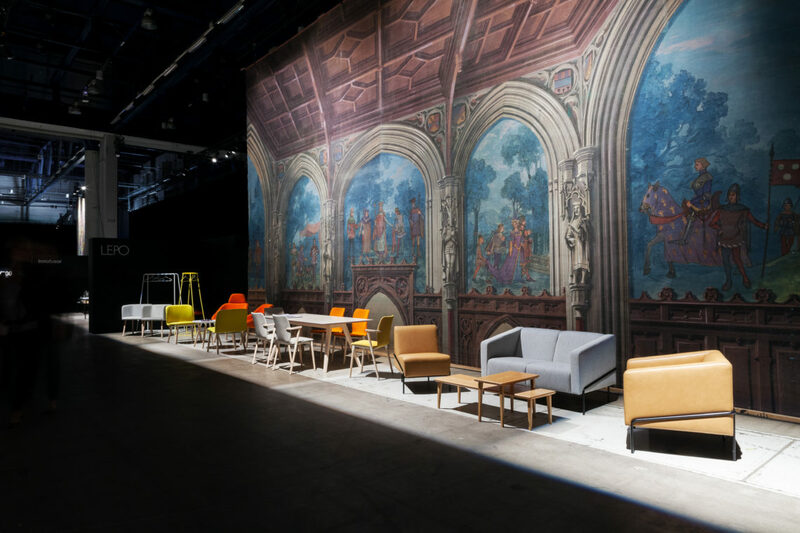 Following this theme, the individual fair booths, lifted out of the darkness with precisely outlined lit up areas, together with the backdrops, create settings for various scenes from the continuous 3-day-long “play” that Showroom is. 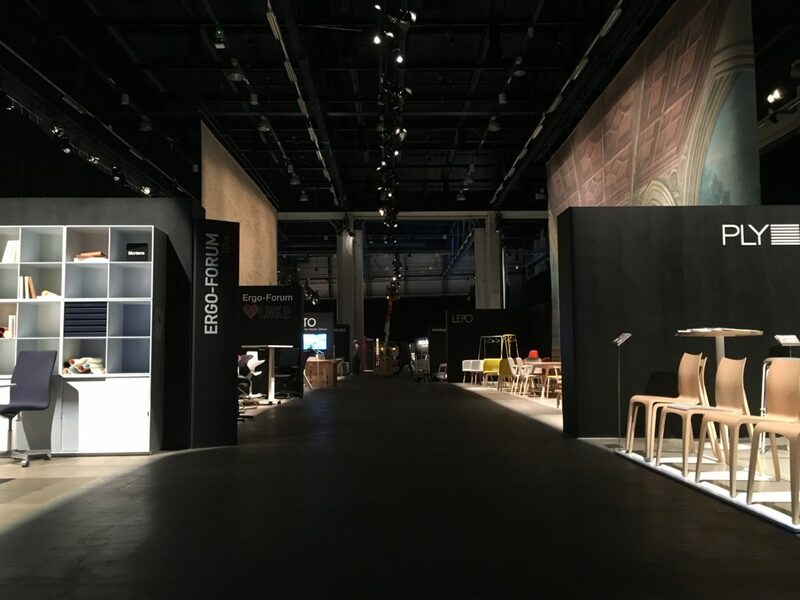 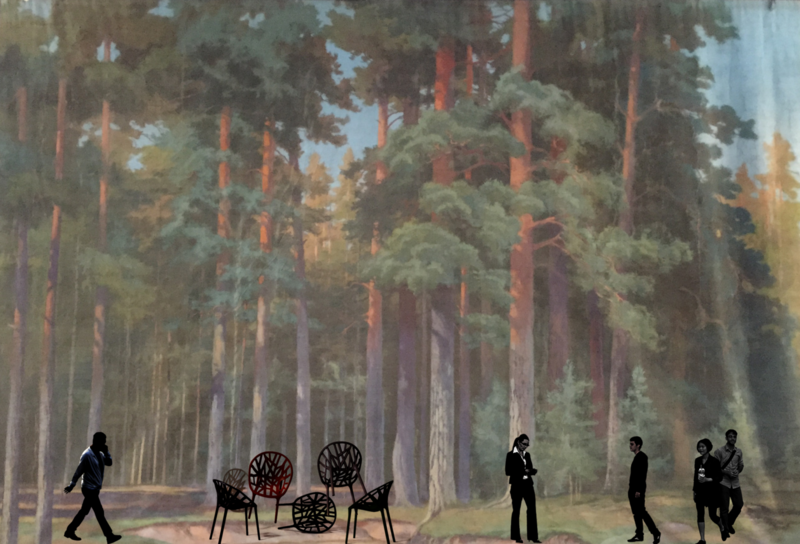 Showroom is a new event organized in conjunction with the Habitare furniture fair taking place at the Helsinki Expo and Convention Centre during Helsinki Design Week. 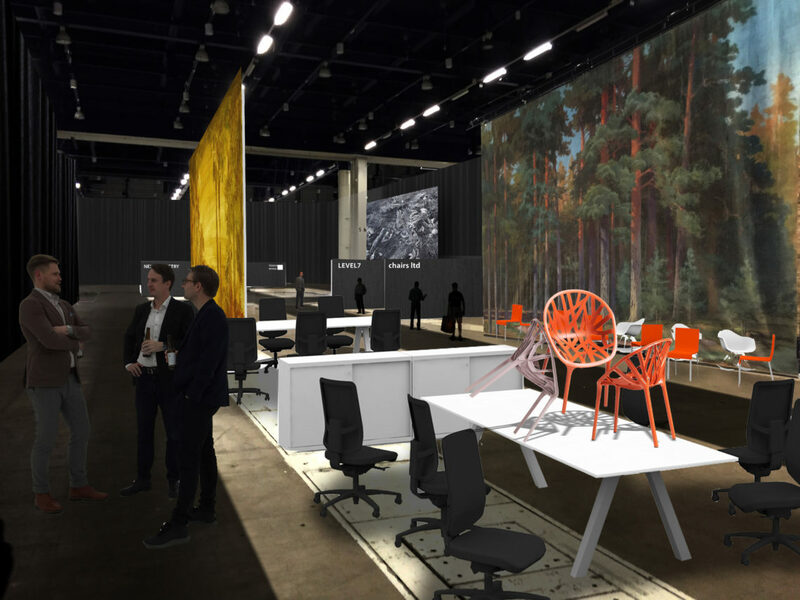 It targets professionals in the fields of design and construction. 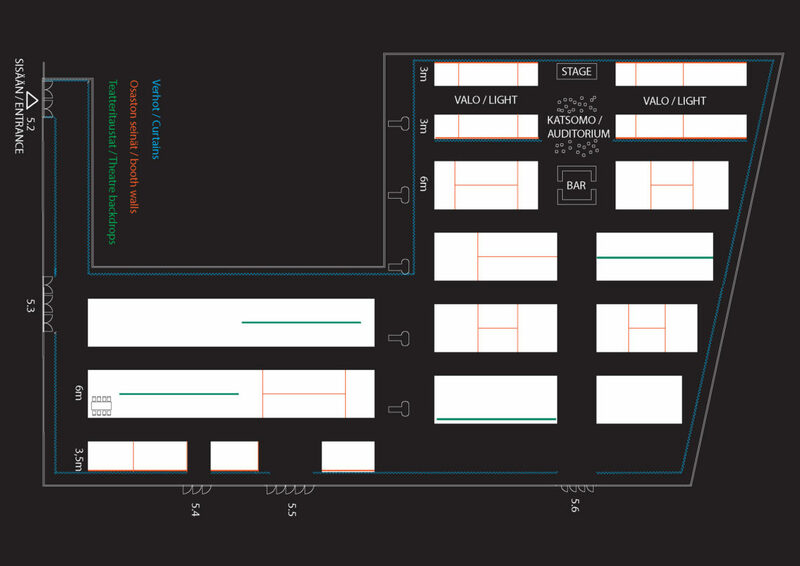 The event features over 40 exhibitors, representing furniture, textiles, lighting, materials, accessories and services. 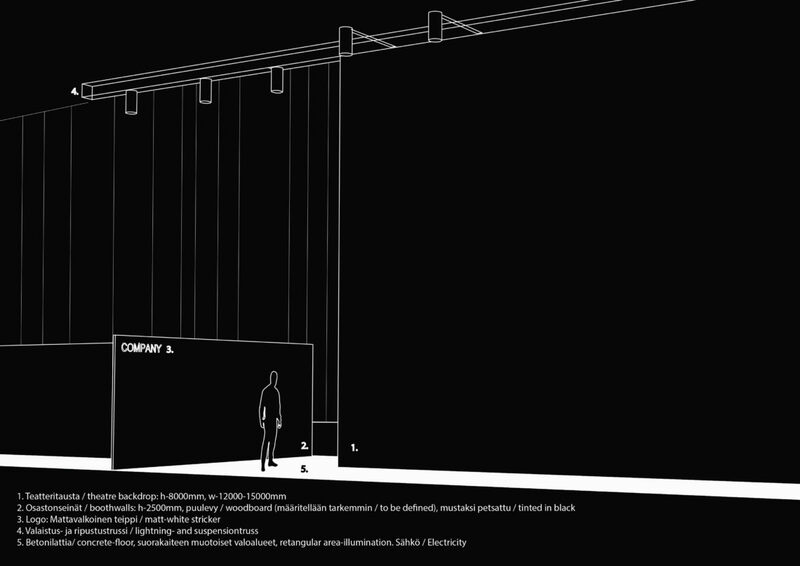 The exhibition design of the common areas, as well as the concept of the individual stands are carried out by ALA.